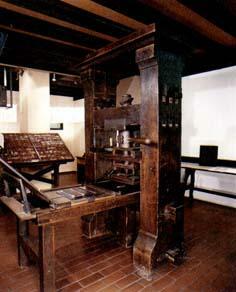 One of the most important inventions that brought the world out of it's long sleep was the printing press. Johann Gutenberg (1397-1468) has been long credited with the invention of a method of printing from movable type, including the use of metal molds and alloys, a special press, and oil-based inks. His method (while refined and further mechanized) remained the principal means of printing until the late 20th century. He printed the first book, which happened to be the Bible. 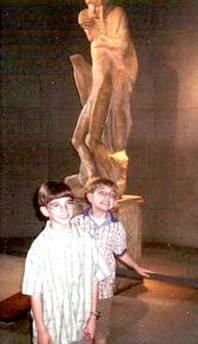 The arts and humanities flourished during this time. 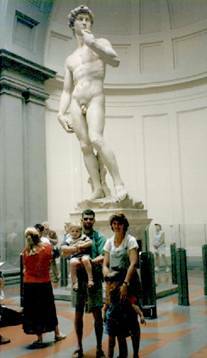 It was as if the world had awakened (thus, the Renaissance). Many artists came of age. 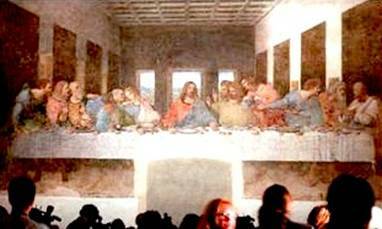 Leonardo da Vinci began his fresco of the Last Supper ca. 1495 and completed it in 1498. This work is now badly damaged, in part due to Leonardo's own experiments with the fresco medium. 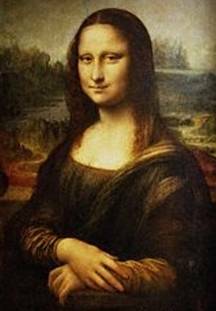 Several scholars believe that Leonardo da Vinci worked on the Mona Lisa over a period of time starting in 1505 or 1506 and finishing sometime when he was in Rome or Milan. Da Vinci died in 1519. When Martin Luther read Romans 1:17, he knew there would be no other way to God but by faith alone in Jesus Christ. On 31 October 1517, he posted his Ninety-Five Theses on the door of the Castle Church in Wittenberg, criticizing abuses of the indulgence system. He was later convinced that only by separation from the Roman system would the church be brought back to represent the New Testament model. Luther later translated the Greek New Testament into his native language, German. 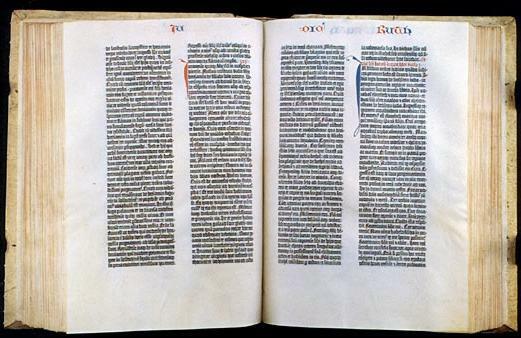 This marked the first time a translation was made from the originals into the tongue of the common people since Jerome's translation to Latin (400 CE). Luther, having learned New Testament Greek from his friend Melanchthon, accomplished this while hiding out at Wartburg, where he remained until 1522. He used Erasmus' GNT. 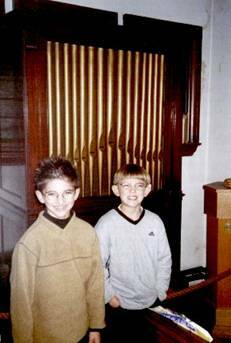 The Wesley brothers contributed to the Great Awakening in England. Charles Wesley composed many hymns for the church, including "O For a Thousand Tongues to Sing," "And Can It Be that I Should Gain," and "Hark! The Herald Angels Sing." ROMEO: He jests at scars that never felt a wound. 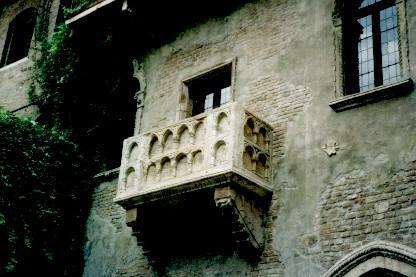 Juliet appears above at a window. But, soft! what light through yonder window breaks? It is the east, and Juliet is the sun. In 1607, vessels carrying 104 colonists (men and boys) anchored in the James River on May 13. They established the colony of Virginia, with Jamestown as capital (a parish of the Church of England, i.e., Anglican). Jamestown never became the “great city” John Smith envisioned in 1608, but this small colonial settlement did enable England to establish a permanent presence in North America and plant a culture that would shape a nation. The capital was later moved to Williamsburg in 1699. Cape Henry Memorial commemorates the first landfall at Cape Henry, in Virginia Beach, Virginia, of colonists bound for the Jamestown settlement. 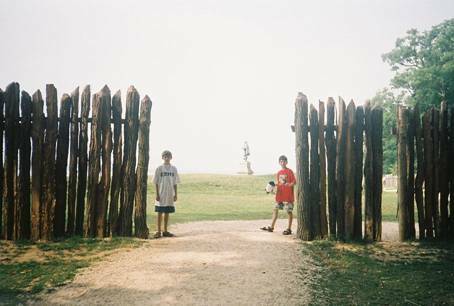 After landing on April 26, 1607, they explored the area, named the cape, and set up a cross before proceeding up the James River. 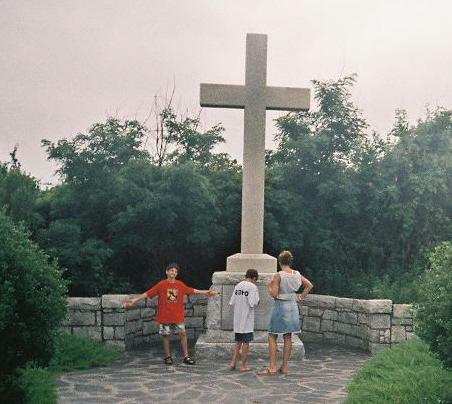 A stone cross, set up in 1935 by the Daughters of the American Colonists, stands in the quarter-acre site. 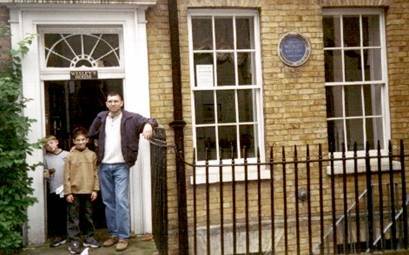 The colonists named the spot in honor of the Prince of Wales (Henry, son of James I, as in the “King James” Bible). 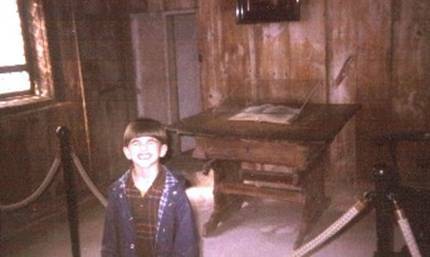 A frame church erected in Jamestown in 1617 served as a place of worship for the colonists until about 1639. 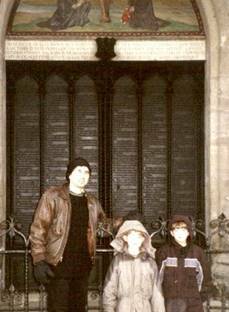 That was the year it was razed in order to build a brick church. 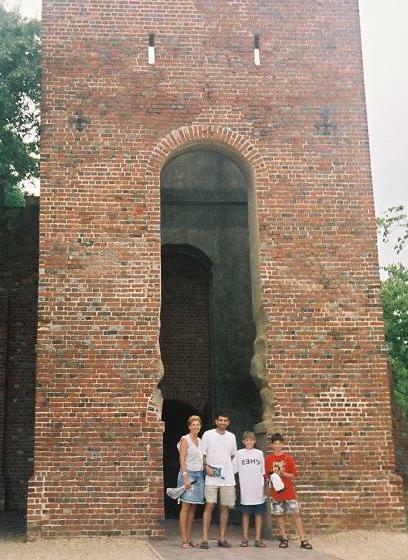 The tower (pictured here) was added after 1647 as an addition to the brick church.